Why patch and repaint? Blasting and repainting a roof is messy and expensive. 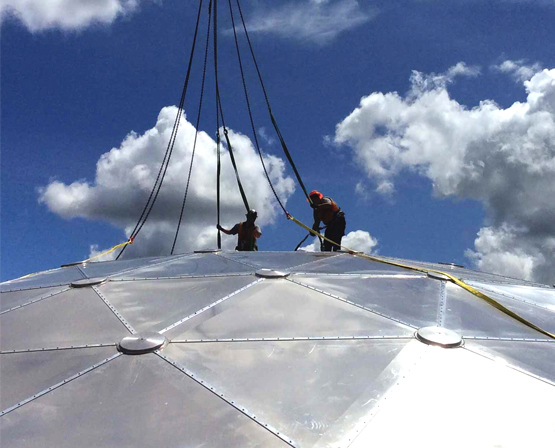 Replacing a corroded tank roof with an EVERDOME® Aluminum self-supporting geodesic dome cover is the fastest, cleanest and most economical choice. UIG has many years of experience replacing worn out welded roofs with brand new AWWA D108-10std geodesic domes. We can bring in our team or send our supervisor to direct yours.